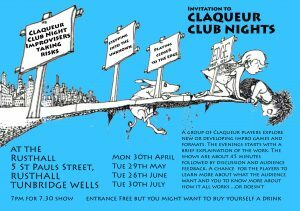 Claqueur Club Nights, last Tuesday of the month. There won’t be one on 25 September as there is a full show the following week. 5 October, 7:30pm at King Charles Church Hall. 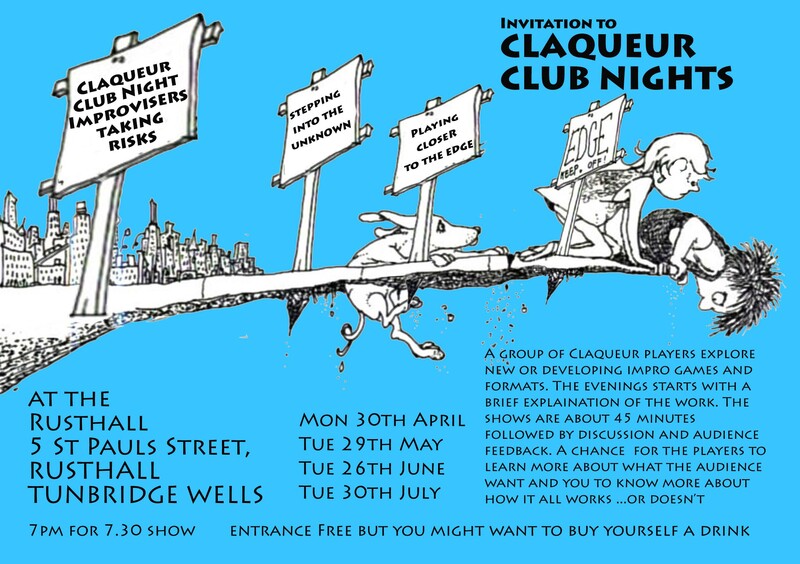 Various combinations of players from Claqueur will present shows of different styles and format. Each evening start with a very short description of the work; the shows will be about 45 minutes followed by feedback and a discussion with the audience. These evenings aim to help us better understand and gauge what audiences want. We hope they are also informative, and if you are interested in performing improvisation yourself it’s a useful way of getting to know a little more how it all works, or in some cases doesn’t.